Length: 39” Beam: 9” Weight: 10 lbs. Available as a kit from Victor Model Products. A good all weather boat using one standardized sail plan, with fairly tight class rules that keep cost to a minimum. Moderate performance, at its’ best in medium and higher winds, but well balanced and easy to sail in all conditions. Kit construction requires a reasonable skill level, and research plus advice from experienced builders is recommended to construct the most competitive boat. Total cost, excluding transmitter, will be in the $200 range. The Soling 1M is, in numbers, the largest AMYA class, and is a semi-scale version of the Olympic Soling class boats. Along with the Seawind, she’s a good choice as a first boat. The DragonFlite 95 is a Restricted One Design boat that is meant to compete within a strict set of rules to ensure a true test of a skipper.s ability to tune their boat and race it well. Additionally, this 950mm boat is of high quality for a modest price. The DF95 is sold ready to race for $399 which includes transmitter and receiver, just add AA batteries. For those already in the hobby, a boat without transmitter and receiver can be purchased for $345. The DF95 comes with a carbon fiber keel, Mylar sails, and a one piece carbon mast, all cutting edge components. It can be on the water in a few hours and assembled by a person with no experience building boats. Its sailings characteristics are such that it is easily sailed by a beginner but offers exceptional performance for the seasoned skipper. Going upwind it sails as if on rails and downwind, because of its light weight and nice water line, is quick and agile. 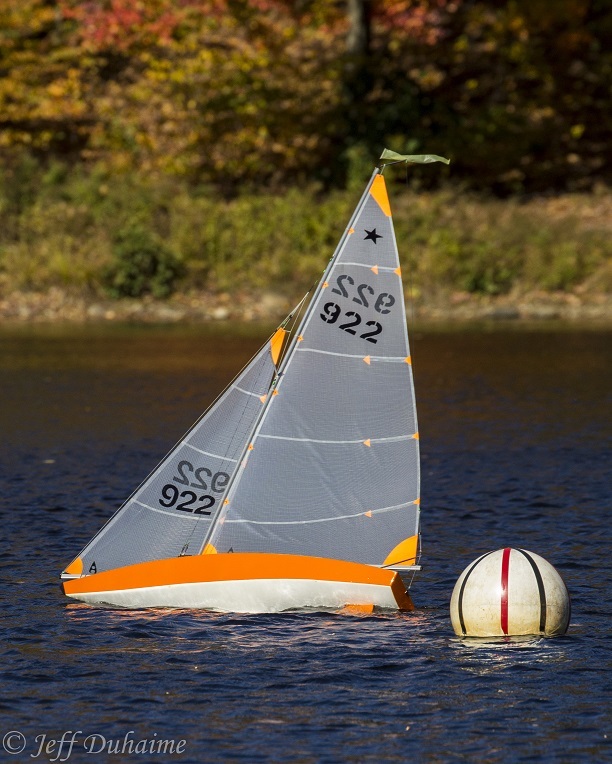 Although the same length as the Soling One Meter and Seawind, the US One Meter is a “development” class restricted in design to only a few maximum dimensions. Designs will vary a great deal, and in general this is a “high tech” and higher performance boat than the other two. Boats will normally require two or three sail rigs of differing heights, to be competitive in all conditions, and today’s US 1M’s will typically be constructed of carbon fiber and Kevlar for hulls, fins, and spars. Most builders use components that are purchased from a variety of sources, or are scratch built, though complete boats are available. 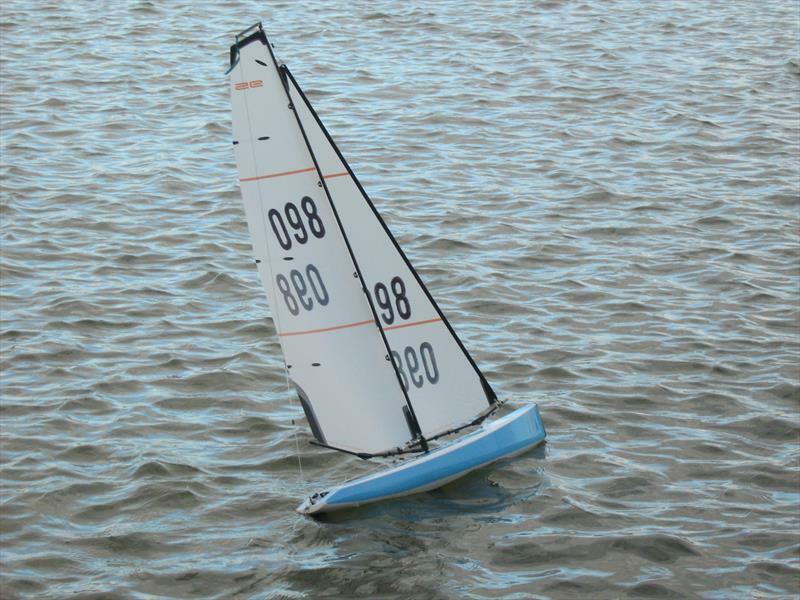 Cost can range from about $600 for a scratch built boat, to $1400 or more for a ready to sail boat, excluding transmitter. Most people will not choose the US One Meter as a first boat. A semi-scale version of the International Star class boats, the Star 45 sails extremely well in a wide range of wind conditions. It is a One Design class that does allow some latitude in keel and rudder design, and while her standard sail plan is all most skippers will need, there is allowed a “storm rig” for the most severe sailing weather. The large majority of Star 45’s today are built with fiberglass hulls (with fiberglass or wood decks), but competitive boats can be constructed of all wood as well. Either way, many skippers are attracted to the Star 45 for her traditional good looks and excellent sailing manners. Boats may be built from available components, and complete boats are also available.Costs will range, without transmitter, from about $500 for a home built Star, to around $1400 ready to sail. 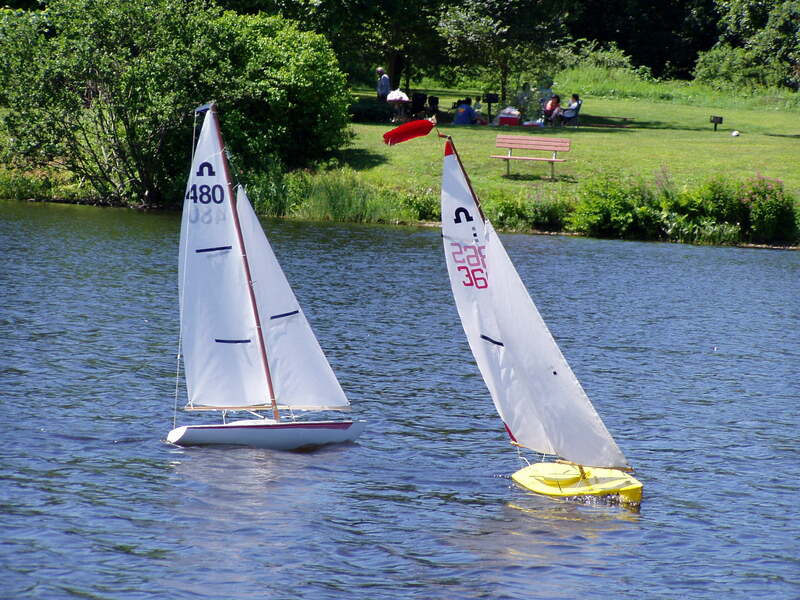 The EC-12 is a restricted design radio controlled model yacht class with fiberglass hulls made from near identical molds and otherwise restricted to similar construction. The result is a class of boats with similar speed potential. The goal, as in any good one-design class, is to have the skipper’s tuning, tactics, and boat handling abilities determine the outcome. The original design which became the East Coast 12 Meter was a Charles Morgan design #2770. Nicknamed Eagle, the design was prepared circa 1962-63 and made into a 9/10″ = 1′ scale model for aerodynamic testing. The design was never considered for full size construction as a potential defender of the 1964 America’s Cup, but was use to study ways of reducing the troublesome quarter wave produced from older designs. The EC-12 is approximately 5 ft. length over all, 23 lb displacement, and has a 6 ft. tall mast. As the lead-bellied replica of a full size America’s Cup 12-meter, this hull shape copied from a 1962 aerodynamic test model, sails like a full-keel boat. 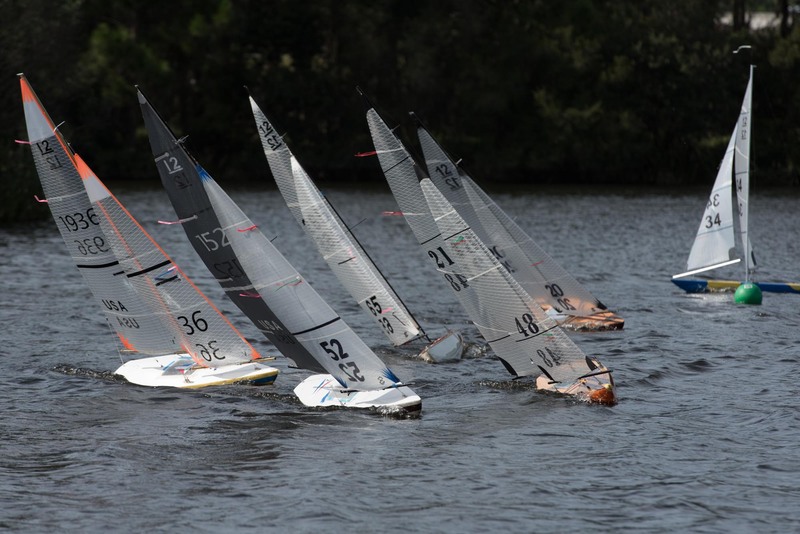 Like all sailboat racing, tuning, tactics, and concentration are critical to racing success. 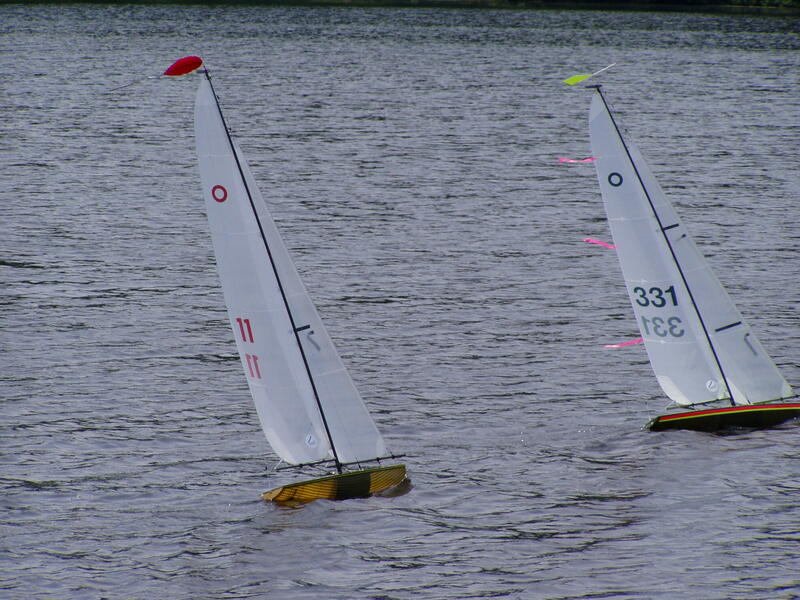 These boats tune similar to a big boat although, during the race, class rules limit trim to sheets, rudder, and an optional jib boom adjustment called a twitcher.